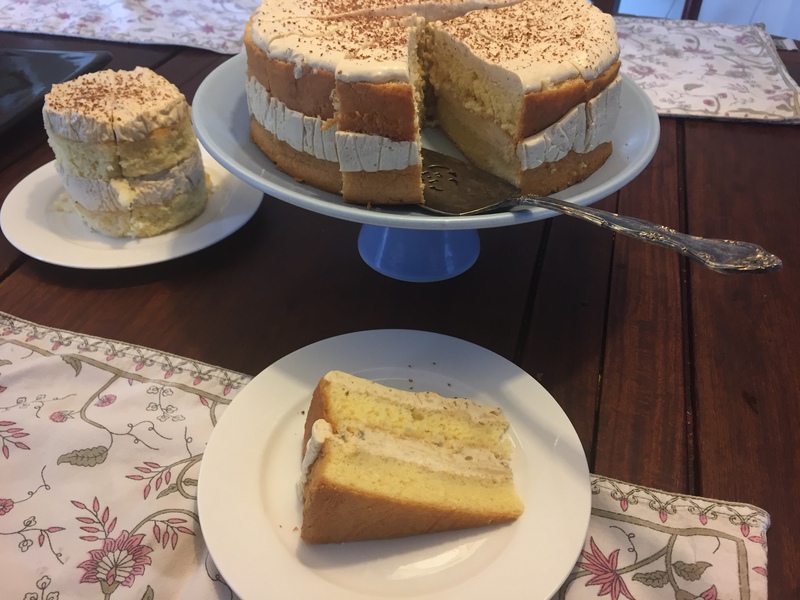 In My Kitchen is a wonderful monthly series originating with Celia from Fig Jam and Lime Cordial, and now (until next month) hosted by the incomparable Liz from Bizzy Lizzy’s Good Things. 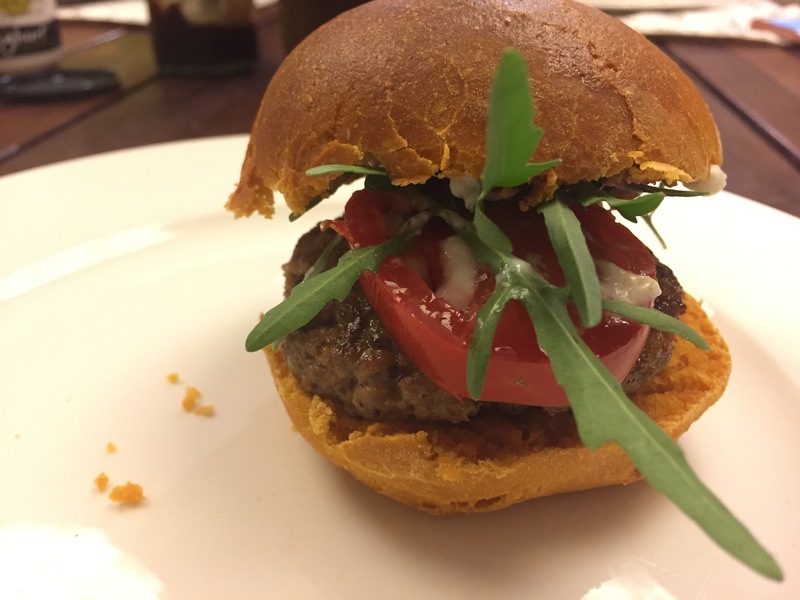 Head over to Liz’ blog for a full list of the participants, and find out what’s happening in kitchens across the globe. 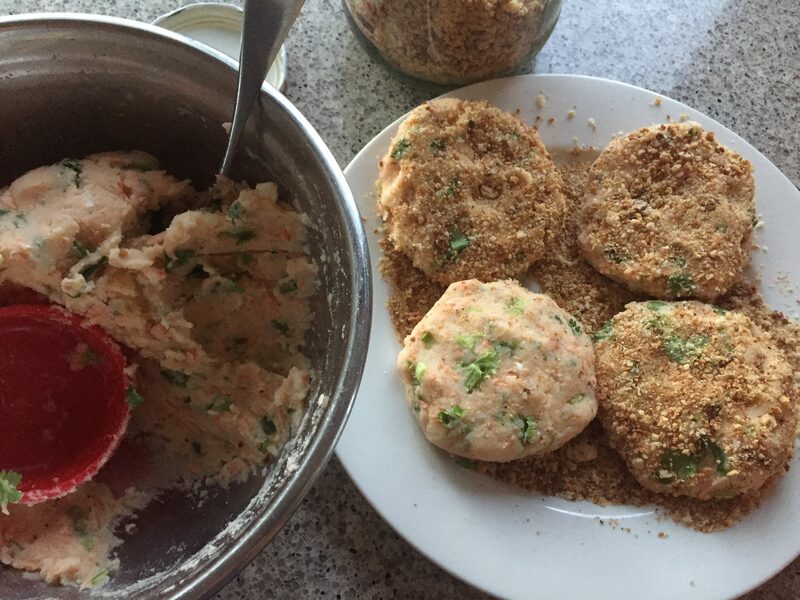 I cooked one of my mother in law’s family recipes while they were visiting recently – classic salmon patties…. What’s in your kitchen (or garden) this month? Beck is Back. Great to see you here again. I’m impressed with your father’s cake skills. Send him around. Also nothing beats old school salmon patties- I could live on them. Love your fruit bread- might be a very fitting substitute for HC Buns this week. 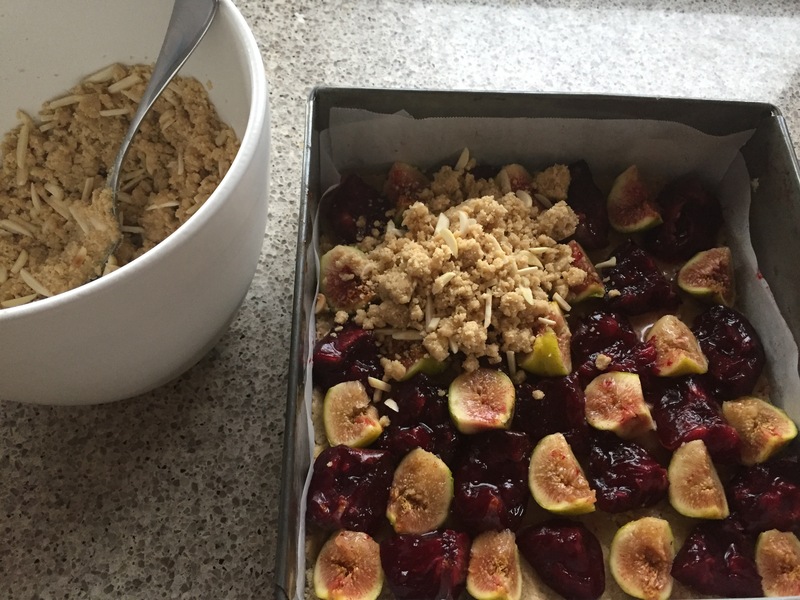 Do you have a recipe for that fig slice? I still have some coming on. I do have a recipe for the fig slice, about to be posted next week, or do you want a short hand version ASAP? Next week is good Beck, I’ll stash the figs in the fridge. Love love love your sourdough breads, Beck. 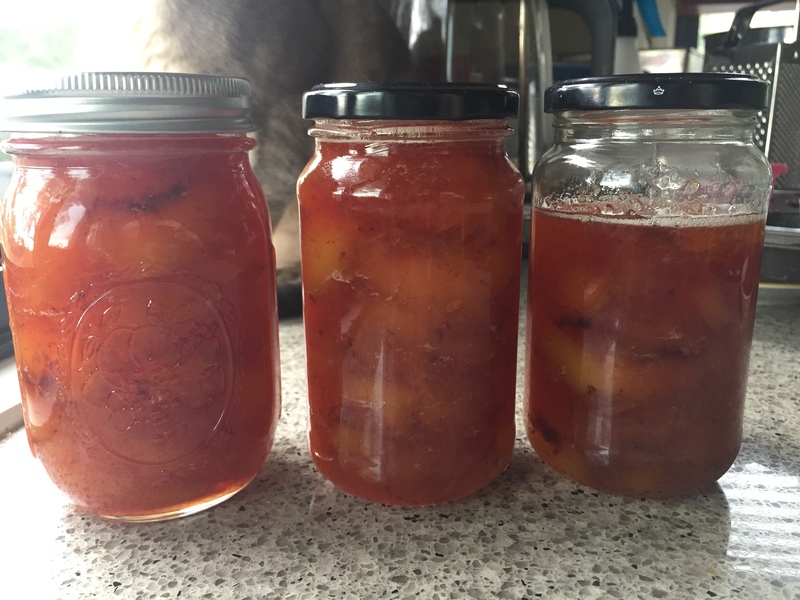 Have been making some in the tropics and boy is the turn around time faster here! 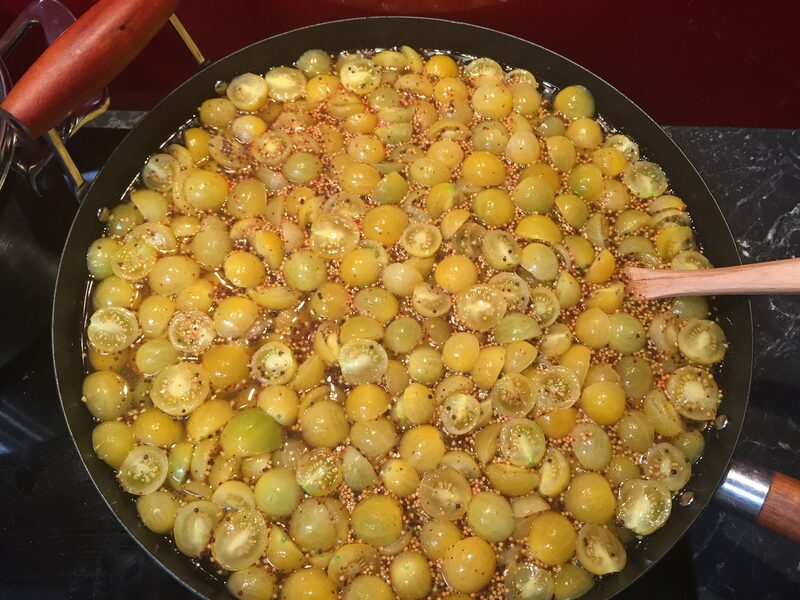 I too would love your fig and plum recipe and those tomatoes look irresistible! Hello there stranger! Happy April to you, and thanks for the lovely shout out. Loving your sour dough bread, Beck, really lovely. Wish I could eat bread more often, but it just doesn’t agree with me. That Bavarian cake looks divine. Happy cooking. Your salmon patties look very much like those my mother made, and that I still make occasionally. I admit that I no longer like canned salmon much, but I sometimes use leftover cooked salmon for this recipe. All your other foods look amazing. Thanks Mae!, yes my MIL often uses fresh salmon now, and if I use tinned I always use a good quality red salmon. i love salmon patties. i like to make them with tinned red salmon and some smoked salmon. oh wow! that cake looks divine. Great team effort on the cake – it looks wonderful. That all looks so good! Lots of pasta bakes at our place at the moment – easy to freeze, then zap and eat one-handed 🙂 Just getting to the tail end of the dahlias in the garden but still some very spectacular flowers left! Must put some rosemary from the garden in our cooking. Delicious looking food Beck. I’m hoping Canberra remains damp through Autumn and Winter. The dry weather plays havoc with my ichthyosis. We can all be happy with a damp autumn and winter then. 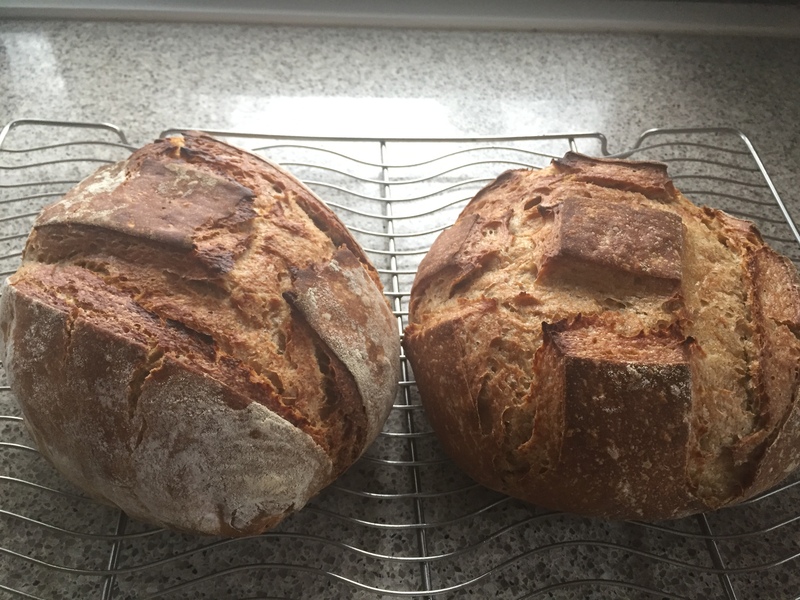 I just love the look of your fruit and nut sourdough! It’s my favourite breakfast! Brilliant kitchen wrap up Beck. I am positively slack compared to hour hands-on endeavours. Your loaded fruit and nut sourdough looks divine. I could munch on that for breakfast every single day! 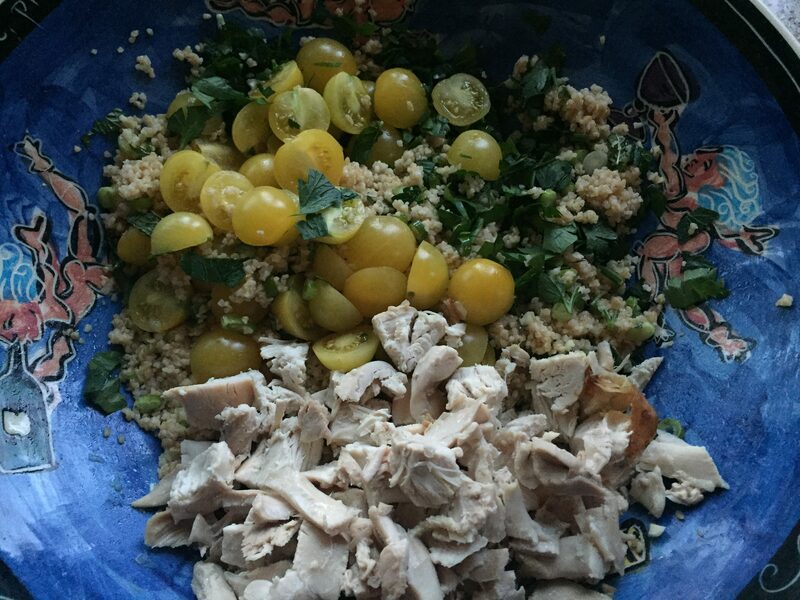 Beck, your post was a smorgasbord for the palate and eyes. Thank you! 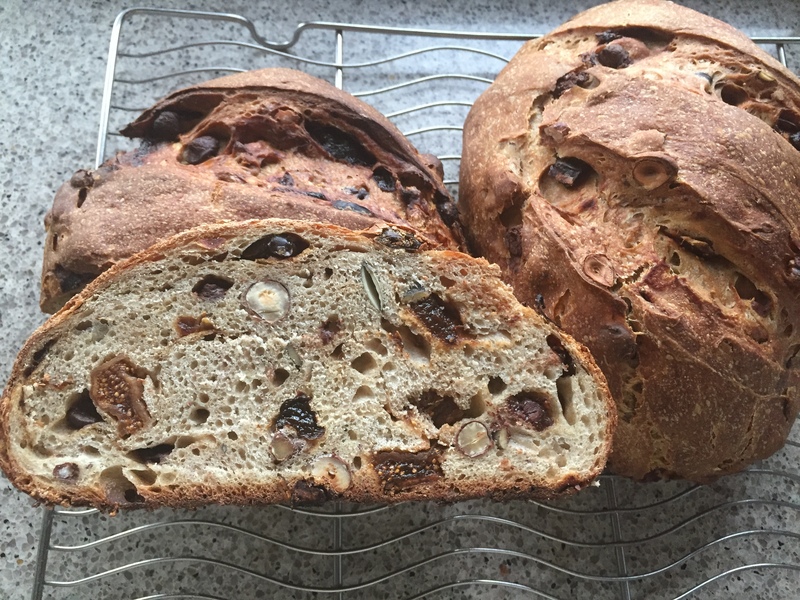 Your fruit and nut laden sour dough photo made me want to dive into it. (You mentioned something about topping it espresso butter in the comment section, too?) Swoon! Accolades to your Dad, too, for his stunning torte. Wow, what an Autumn feast! It looks AMAZING. I don’t know if you consciously chose golden colours, but it is just pure GOLD. Your autumn kitchen looks delightful ♡ Salmon patties are one of my favourite childhood food memories made by my grandfather, from time to time I try to replicate them but I haven’t got the knack… yet. Your fruit & nut loaf looks lovely. For Easter I made my first fruit loaf rather than buy hot cross buns… it was good… too good, there’s none left.